Copper was the first metal ever manipulated by humans and still it remains one of the most important industry metals. Copper is a mineral and is essential to our everyday lives. This metal is malleable, highly ductile and resistant to corrosion. In the periodic table, it has an atomic number of 29. Copper occurs in nature in its native form. The oldest metal object found in the Middle East consists of copper. Except for gold, it is the only metal on the periodic table that is naturally of some other color apart from silver or grey. Approximately 60% of the metal produced is used for electrical wiring and in manufacturing cables. There are two stable isotopes of the element that make up naturally occurring copper. These isotopes are copper-63 and copper-65. It ranks as the third-most consumed industrial metal in the world after iron and aluminium. 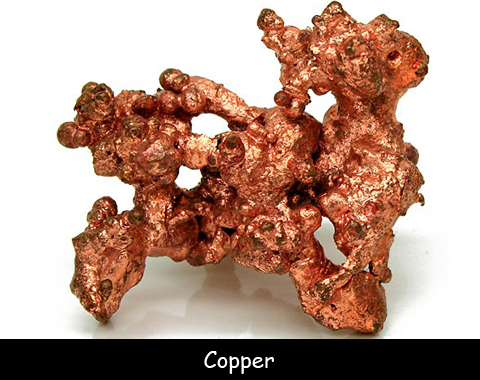 The largest single piece of natural copper was discovered in the US in 1857. It weighed 420 tons. This metal can be recycled completely without a breakdown in quality. It is an essential element for human nutrition. It is critical for blood cell formation. This element has been known about since ancient times, as far back as 10,000 years ago. It is a natural antibacterial agent and also used to control algae. It readily forms alloys with other metals. Brass and Bronze are two well-known alloys. Copper happens to be one of the most durable and versatile materials known to mankind.